✻ T u m b l e d S T O N E S ✻ CITRINE. Citrine is a powerful cleanser and regenerator. A stone of abundance. Brings happiness and generosity. Raises self-esteem and self-confidence, and removes destructive tendencies. C h a k r a s: 2nd (Sacral), 3rd (Solar Plexus). 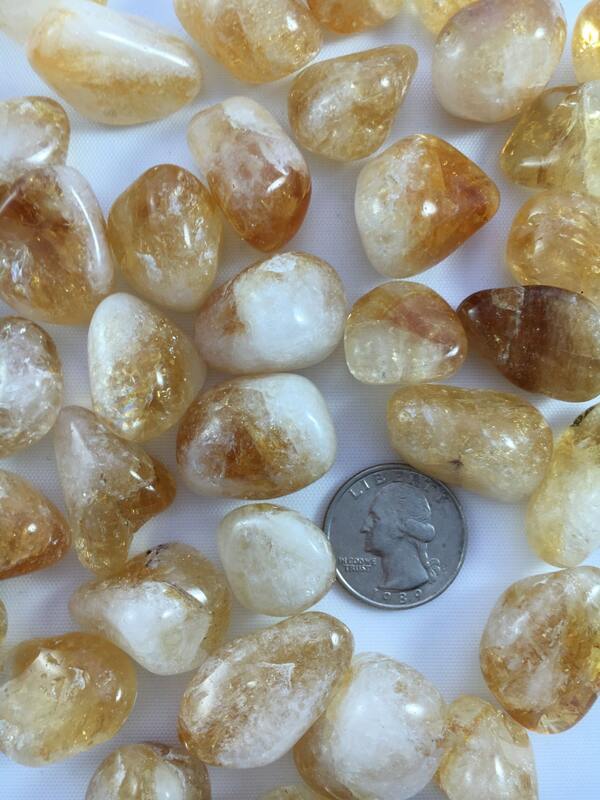 ❥ Citrine is typically heat treated to bring out its brighter yellow/orange color, Citrine is naturally a very light brown.